Sagan and other proponents of solar sailing pitch the technology as a way to cheaply glide through the solar system, harnessing energy from sunlight to slightly nudge a spacecraft toward its destination. The solar sail prototype is going to an orbit a few hundred miles above Earth, where atmospheric drag will overpower any propulsion from the sun. A follow-up mission next year will try to use sun beams to change its orbit. “We won’t fly high enough above the Earth’s atmosphere for solar sailing, due to atmospheric drag, but we’ll do critical tests of several systems over a 28+ day mission, including a zero-gravity test of our sail deployment sequence and attempt to snap pictures documenting the operation of the booms that support the sails,” the Planetary Society wrote on in a summary of the mission. 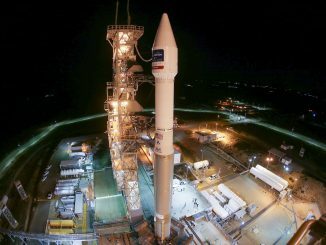 The satellite, named LightSail, is among a clutch of small payloads fastened to an Atlas 5 rocket for launch Wednesday with the U.S. Air Force’s X-37B spaceplane. If everything goes according to plan, LightSail will spring-eject from its pod mounted to the aft bulkhead of the Atlas 5’s Centaur upper stage, deploy its power-generating solar panels. 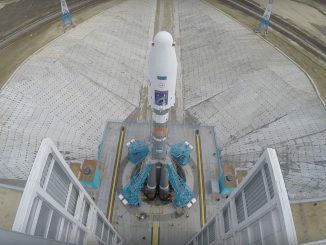 Engineers on Earth will check the satellite’s readiness for its big moment, which is set to come about four weeks after liftoff. Four triangular mylar sails wound up inside the tiny satellite for launch will unfurl to cover an area of 344 square feet. The spacecraft is about the size of a loaf of bread and weighs about 10 pounds. It is a three-unit version of the popular CubeSat platform, which companies, governments and research institutions are increasingly using to try out innovative technologies at a fraction of the cost of traditional space missions. Construction of the spacecraft was funded by private citizens and donors, and NASA is paying for LightSail’s ride into orbit. The Planetary Society says the project’s total cost is $5.45 million. The group launched a Kickstarter page requesting donations from the public to cover $1.2 million of the cost. Engineers are preparing a similar spacecraft for launch in 2016 aboard a SpaceX Falcon Heavy rocket, which will boost the second LightSail platform to a higher orbit for a full-up solar sailing demo. 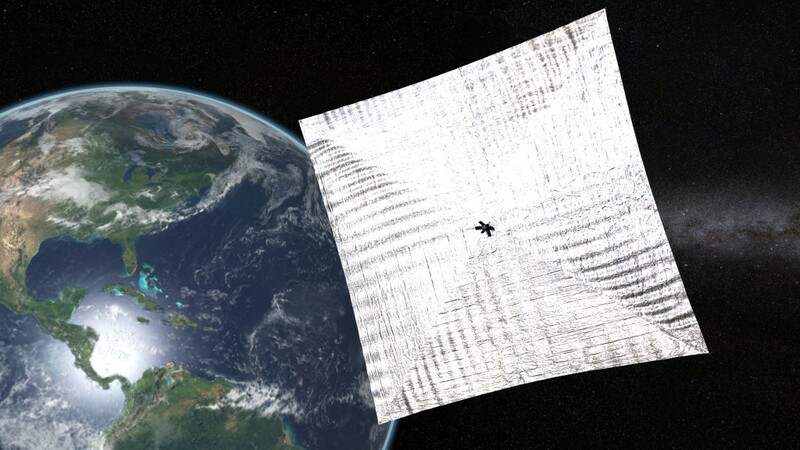 LightSail follows other solar sail projects launched by Japan and NASA. 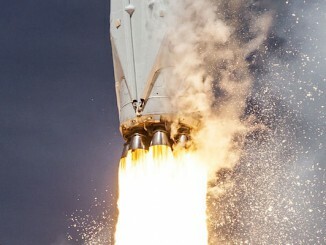 “Through this proof-of-concept mission, we will use CubeSats to open new paths beyond Earth and, one day, potentially to other planets with an inexpensive, inexhaustible means of propulsion: photons, solar energy in its purest form,” Planetary Society chief executive Bill Nye wrote on the LightSail Kickstarter page.